Documents not provided to the public. The meeting of the Home Affairs Portfolio Committee was intended to provide Committee members with an opportunity to be briefed by the Minister of Home Affairs, the previous Minister of Home Affairs, now Minister of Finance, and the Director-General of the Department of Home Affairs on the naturalisation of the Gupta family. However, at the commencement of the meeting, the Chairperson informed Members that the Minister of Home Affairs had sent apologies as she would be out of the country as delegation head for the Minister of International Relations. She had informed the Acting Minister, but the Acting Minister had sent apologies due to a prior engagement. The Minister of Finance had sent an apology as he had a prior engagement. Members stated that the Committee was meeting because the then Minister of Home Affairs had made a decision to exercise his executive right in terms of section 5(9)(a) and (b) of the South African Citizenship Act. The Minister had been requested to attend as he had accountability for the granting of citizenship. Meeting without the ministers did not fulfil the purpose of holding the Executive accountable. The situation was problematic because not one of the executive was in attendance. Some members of the Committee excused the non-attendance of the Ministers by suggesting that it merely had been an invitation to people who were busy. The DA was called upon to respect the busy people of the Executive. Questions of cover-ups were raised but, ultimately, the Chairperson determined that the Committee had received the documents, which were confidential because they contained the names of people, other than the Gupta family, and identity numbers. He was of the opinion that they could engage with the Department and that, if there was still a gap in the response received from the Department, they could have another session. The Director General dealt, in great detail, with the legal and administrative processes entailed in an application for naturalisation. He explained that Mrs Gupta, the mother of Ajay Gupta, had arrived in South Africa in 1995 and had held a permanent residence visa, as did the other members of the family who had arrived in the country later. The members of the family, Mr Ajay Gupta, the wife, Mrs Shivani Gupta, mother, Mrs Angoori Gupta, the sons Mr Kamal Kant Singhala and Mr Surya Kant Singhala, had applied for citizenship as a family unit, which meant that if one or more members of the family did not qualify for naturalisation, no one in the group could receive naturalisation. The request was initially rejected by the Department as the wife did not have five years’ residence and the mother had been outside of the country for longer than the permitted 90 days in the previous year. However, following an appeal from the family as permitted in the Act, the Department had recommended to the Minister that the requirements of residence be waived and that naturalisation be granted. As India did not permit dual citizenship, the family had to renounce their Indian citizenship. Mr Ajay Gupta had never done so and therefore had never been naturalised as a South African. The Chairperson stated that the Committee accepted that there had been nothing wrong with the processes of Home Affairs. The Chairperson welcomed the Director General for Home Affairs, Mr Mkuseli Apleni, and his team. 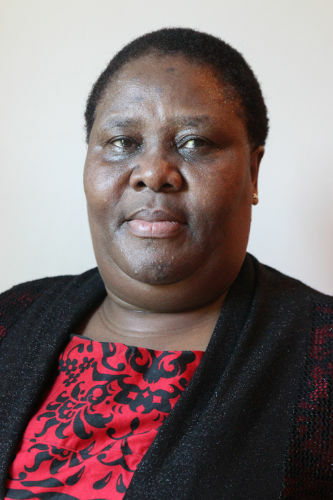 The Minister of Home Affairs, Hlengiwe Mkhize, had sent apologies as she would be out of the country as Head of Delegation for the Minister of International Relations. She had informed the Acting Minister, Faith Muthambi, who had sent apologies as she had a prior engagement. Minister of Finance, Malusi Gigaba, had sent an apology as he could not attend as the result of a prior engagement. Mr J Steenhuisen (DA) apologised for the absence of Mr Hoosen, which was why Mr Steenhuisen was sitting in to replace him. The Chairperson pointed out that he had received a letter from Mr Hoosen requesting answers. However, he had told him to raise the matter in the Committee meeting and had distributed the letter to members. Mr Steenhuisen raised a point in lumine before proceedings began. Section 55(2)(b) of the Constitution said that Parliament had to provide mechanisms for the Executive to be accountable to it for members to be able to maintain oversight for the exercise of the national Executive Authority, including implementation of legislation. He appreciated the presence of the Department but they did not exercise the national Executive Authority that was vested in the Minister. Having read the papers put forward by the Department, it appeared that the Department had followed the regulations. That was not the reason the Committee was there. The Committee was there because the then Minister of Home Affairs had made a decision to exercise his executive rights in terms of section 5(9)(a) and (b) of the relevant legislation. He thus could not hold the Department accountable. The Minister had been requested to attend as he had accountability for the granting of citizenship. The legislation was very specific in that it said “the Minister may” or “the Minister shall”. The Committee could talk about papers but that did not fulfil the purpose of holding the Executive accountable. Mr Steenhuisen had wanted to ask the current Minister whether she was going to renounce the citizenship of the Gupta family and she, too, had not made herself available. The situation was problematic because the Committee was required to hold oversight over the actions of the Executive but not one of the Executive was in attendance to engage with the Committee. The Ministers needed to be subpoenaed as there seemed to be a coordinated attempt to duck out of the situation. He had wanted to ask what was going through the Minister’s mind and whether he had asked for additional documentation, in addition to Annexure L, and whether the claims had been verified. He wanted it on record that none of the Executive was there. The instruction of House Chairperson on Committees and Oversight, Mr Cedric Frolick, was very clear that Committees had to engage with Ministers. The Committee should pass a motion expressing its complete dissatisfaction with the absence of the Ministers. The Committee should embark upon a process of subpoenaing the ministers, which they should have done the previous week. Mr Gumede stated that the Committee’s understanding of the previous meeting was that the Committee had decided to invite the Ministers, if it was necessary, but as it was a preliminary hearing, it was not necessary to subpoena anyone. It had been an invitation to people who were busy. It was important to remember that the three arms of government had to respect each other. Without respect, there could not be a successful, stable country. He told the DA to respect the busy people of the Executive. They had been elected by the people to lead the country. He said that parties should respect each other and Parliament should respect Cabinet. They needed all the information before they could call Ministers. Parties had to respect Cabinet. Ms N Dambuza (ANC) commented on the input by Mr Steenhuisen. At the previous meeting, they had decided on a postponement because they did not have information and now they had the documents so they could engage and if there was still a gap in the respons received from the Department, they could have another session. Members should understand that Acting Minister Muthambi could not have assisted with the document. They had to remember that the Minister of Home Affairs had long planned this trip overseas so they could meet with her at a later date. As far as the Minister of Finance was concerned, the Committee had the right to call him to account. She believed that they needed full information before they called the Minister as he was the one that had to give the evidence as to what had transpired in the whole process. Dr C Mulder (FF+) felt sorry for his colleagues in the ruling party as they were in a very difficult position. There was no doubt what had been said the previous week. They had had to decide whether they were going to invite or summons the Ministers. The agenda clearly stated that there would be a briefing by the Finance Minister and Minister of Home Affairs. Clearly, the intention was that the ministers would be there to give a briefing. He referred to the minutes of the previous meeting. The invitations had not been taken up, so they now had to summons the ministers. They could get information from the officials but ultimately, the Ministers had to attend as the job of the Committee was to exercise oversight and the Ministers had to be held to account. Perhaps it was time for the Executive to start respecting the Houses of Parliament. Mr A Figlan (DA) expressed his extreme disappointment. It seemed that Mr Gumede was trying to cover for the Ministers. The Committee had the right to do oversight and if someone was invited, that person had to appear before the Committee. They were not fighting but that they simply wanted to deal with the issue. Ms H Hlophe (EFF) stated that the ANC colleagues were changing the language. The previous week they had taken a decision as a Committee to invite the Minister of Home Affairs and the Minister of Finance. In previous meetings they had talked about the naturalisation of the Gupta family. The DG of Home Affairs had not responded at the 7 June meeting because the DG said they would issue a press statement. The Committee could not be addressed via a press statement and so they had decided to invite the DG to address the Committee on the naturalisation of the Gupta family. The entire Committee had decided that the Ministers should be invited. They had expected the Ministers but had arrived to find that they were not going to attend. 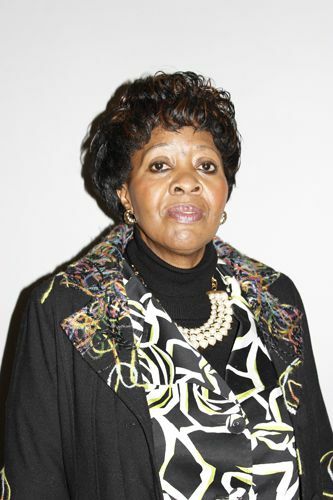 The Committee was not respected as, firstly, the DG had not attended the 14 June meeting and now the Ministers had not attended and the new Minister of Home Affairs had been making statements in the media, about which the Committee wanted to question her. The Committee did not want the Acting Minster as she had her own matters to answer to. Ms D Raphuti (ANC) stated that they were not disputing that the Ministers had been invited to account but in the same way that Mr Hoosen was absent, the Ministers were absent. They should engage with the documents and with the DG. No one was running away from the matter. Ms N Mnisi (ANC) said that they were not covering up for anyone. The DG was the custodian of the information and he was there to account. The Committee could cause other Department officials to provide information that the Committee did not receive in the meeting. Mr M Kekana (ANC) said that he agreed that the Ministers had to come and account but how could they expect the Ministers to be there when they were overseas? The DG could clarify and then if there were still questions, they could take it from there. There was no dispute unless people wanted to blow up something out of nothing. If the DG could not clarify, then they could take a decision regarding an inquiry. The Chairperson warned that they would talk in circles. Ms Kenye said that they had to respect the apologies, especially as the DG and staff of Home Affairs were in the meeting. The DG had prepared and signed the documents so they could talk to him. Mr Gumede stressed that it was very important for Parliament to respect Cabinet and the Judiciary, which was why they had the separation powers. They had received the very thick document after the previous meeting. They had to talk to the DG to obtain clarification. After that, the ANC would be prepared to look at inquiries but they did not want to make decisions prematurely. They valued their relationship with Cabinet and the Judiciary and all other parties because if they were not there, democracy would be in tatters. Ms Hlophe suggested that the Chairperson‘s planning was questionable. The communication had been incorrect as they had come to engage with the Ministers and they had not been advised otherwise. He should inform Members when the Ministers were not coming as they did not want to arrive to find that the invited people were not going to attend. She felt that the Committee was being undermined. She did not believe that the two Ministers had just woken up and decided to go overseas. Such visits had to be planned. Mr Steenhuisen stated that it had been published in the Z list of Parliament on Monday that the Minister of Home Affairs and the Minister of Finance would tend and give a briefing on the naturalisation issue and that information was on the agenda sent to Committee members. He found it wrong for members to accuse him of being disrespectful. It was the Ministers who had been disrespectful. He was of the opinion that although they could proceed as the blame did not lie with the Department. He believed that there had been a diffusion as the Ministers were not attending when the Department attended. That was why he had argued for an ad hoc inquiry into the issues of state capture as he did not believe that the Committees would be successful. He was happy to listen to the DG and his Department and he had some questions for them but he believed that the problem lay with Executive oversight. Dr Mulder was concerned because Mr Gumede did not expect the Executive to respect the Legislature. Political parties that did not respect the people got into trouble. He was worried that Mr Gumede was going to be satisfied with the explanation by the Department and not want to call the Ministers. It was not for the officials to do the bidding on behalf of the Executive. Only one Minister was abroad and she was standing in for another Minister. So, it was a question of priorities and she had chosen to ignore the request to appear before the Committee. But it should not end when the majority party decided that it was unnecessary for Ministers to come and account. Ms S Nkomo (IFP) noted that the DG was present and hoped that he would give input. But, the Ministers needed to be there. They should be summonsed. She suggested that they put a date and a time for an investigation. She suggested that they work through the office of Mr Frolick, the Chair of Chairpersons, and senior politicians. The Chairperson said that the previous week, the DG had been invited but no Minister had been invited. The previous week was the first time that an invitation to the Ministers had been issued and so it was not as if the Ministers had repeatedly not come. The Committee had asked for documentation, which they had received. He had told those members who had asked for the emails that they could not have emails from the Department. There were no points of dispute. The DA had asked a question on the specific matter but they had received the answer and so it appeared that they knew something else. The DA had information that made them far ahead of everyone else. Probably Dr Mulder knew as well as he was in agreement with the DA. The rest of the Committee was not at that stage and so Home Affairs needed to clarify things. The DG had provided the documents and a report. He explained that the agenda had to include briefings by the Minister in order for him to be able to register the apologies of the Ministers. The agenda had been written as per the intention of the meeting and hence explained the absence of people who were supposed to be there. The meeting was not the end of the matter because of the instruction by Mr Frolick. He reiterated that the Committee and the public did not have the same information as the DA as they had received a written answer so the members of the Committee needed to get to the same level as the DA. DHA Director General, Mr Mkuseli Apleni, stated that he respected authority and Parliament, the citizens of South Africa and anyone within the shores of the country and that he himself would not do anything to harm his integrity. He believed that they should begin by referring to the relevant legislation. It would then be possible for the Committee to match the legislative framework with what had been done in the matter at hand. His report dealt with the naturalisation of the Gupta family following their request for exemption from the ordinary residence requirements as stipulated in Section 59(a) of the South African Citizenship Act. The immigration law dealt with admissions and departure of foreign nationals. They needed a visa to come into the country. Visas were for visitors, those who wished to study, for medical purposes, relatives or spouses. A visa was generally short-term. A visa could be extended. The person required a visa to legally sojourn in the country. If a foreign national had been in the country on a visa for a period of five years, he could apply for permanent residence permit. A permanent residence holder had all the rights of a South African citizen, except the right to vote. Foreign nationals had to meet the criteria for a visa type but if they could not meet one clause, that of residence, the Minister could grant a waiver. That was in terms of the law of the country. If the foreign national was not happy with the decision of Home Affairs, he could appeal or resort to a judicial review. The DG was dealing with an administrative function. Once a permanent residence permit had been approved, the person was granted an ID book. The only difference was that it stated the person was a non-citizen. The person could apply for a passport. To become a South African citizen, the person needed to have been born in South Africa, or have at least one parent who was a South African citizen, or apply for naturalisation. Permanent residence precedes naturalisation. After five years, one qualifies to apply for citizenship. The DG had no discretion at that point. Annexure A of the South African Citizenship Act states that the Minister may upon application, in a prescribed manner, (according to regulations approved by Parliament) approve an application for naturalisation. One needed to be a permanent resident in the country for at least five years prior to application. Within those five years, the person could leave the country for no more than 90 days per year. Good character was measured via the existence of a criminal record. If one did not have a criminal record, it was determined that the person was of good character. There was no other judge of character. The person had to be able to communicate in one of the official languages of the country. One had to have knowledge of the responsibilities of South African citizenship. One could not give up the citizenship of another country until one had received citizenship of the new country but if the country of origin did not allow dual citizenship, the person had to give up citizenship of the other country, and had to provide evidence thereof, before he or she would be granted citizenship. Either an individual or a family could apply for naturalisation but if one of the family did not meet the requirements, then the family did not receive naturalisation. If there were minor children, the family had to apply as single unit but if not, it was a choice as to whether they applied as a family or as individuals. If the family had not been resident for five years, the Minister could be approached to waive the requirements based on exceptional circumstances. This was contained in Annexure B of the Citizenship Act. The Minister only had discretion in the case where the applicants did not meet the requirement of having spent five years in the country prior to the application. The DG asked whether all Members fully understood the law. Mr Gumede suggested that they discuss the law before names were provided, as names would bring bias. Ms Kenye asked for clarity about some countries not recognising dual citizenship. Ms Dambuza asked for comment on interpretation. She differed on clause (h) as it was clear that a person needed to provide proof regarding renunciation of the person’s prior citizenship. Mr Kekana agreed with Ms Dambuza. The legal department must assist in clarifying. Ms Raphuti referred to the day of naturalisation when the judge had to endorse the naturalisation, as introduced in 2016. How and where did the judge endorse the naturalisation? Mr Steenhuisen referred to Section 5(9)(a) and (b). Did the Act pass any discretion to the DG and who was responsible for tabling the names in Parliament? What was considered proof of renunciation and did Home Affairs check to ensure that that section had been complied with and that the person was not legally a dual citizen of a country that did not accept dual citizenship? Section 5(9)(a) referred to exceptional circumstances. How did they determine “exceptional” circumstances? Was there a benchmark, a standard or criteria to determine what qualified as exceptional circumstances? Dr Mulder asked whether the group/family application could be changed to an individual application. The Director General, Mr Apleni, responded to the questions. Where a country allows dual citizenship, that was fine but in some cases, one had to make a choice. One did not renounce one’s citizenship at the point of application. There was a sequence. Renunciation was only necessary when the naturalisation reached the final process and one would receive citizenship on renunciation. At the naturalisation ceremony, the new citizens underwent a ceremony of allegiance. Who had discretion for the waiver? It was the Minister who had discretion for the waiver but officials prepared documents and made a recommendation to the Minister. The Minister could either approve or disapprove. The powers to waiver lay with the Minister. A test of whether something was exceptional or not was "reasonable" consideration and, of course, consistency which was established by checking against previous decisions made. The Minister was required to give reasons for having made the decision. Checks and balances were in place but once Home Affairs had received the authentic documents from the country of origin, basically, it was approved. Changing from a family to an individual application was possible in light of one person refusing to give up citizenship. The Minister was responsible for tabling in Parliament the names of people who had received a waiver in respect of naturalisation. That power had not been delegated. In reply to Ms Mnisi asking if a group application failed, the family members could apply as individuals, Mr Apleni's answer was in the affirmative, as long as the person was above 18 years of age. Adv Anthea Gordon from Parliamentary Legal Services stated that she and her colleagues were in agreement with the DG of Home Affairs, especially in the sequencing of giving up other citizenship after South Africa had accepted an applicant as a citizen. It was a suspensive condition as South Africa would offer an applicant naturalisation on condition that he or she renounced his or her citizenship of the country which did not permit dual citizenship. Ms Hlophe asked if the previous citizenship had to be relinquished. The DG explained that it was a process. Only after the panel had approved the application for naturalisation, was the person required to relinquish citizenship of the other country and provide proof thereof. The DG explained the initial naturalisation process required an official to prepare a submission which included all information for the Naturalisation Adjudication Committee, which was chaired by the Chief Director. The Committee consisted of three members and had to ensure that the applicant met all requirements. The approval or rejection of applicants for naturalisation was delegated to that Committee. The new citizen had to sign allegiance and submit denaturalisation, where necessary, and which was checked and confirmed to be valid, and then the naturalised citizen could get a new ID document. The applicant’s ID number was then changed from that of a non-citizen to citizen and the applicant then had the right to vote as well as all other rights. Mr Steenhuisen asked for confirmation as to whether it was a regular committee that thus provided for consistency. He would imagine that it would remove the arbitrariness of the decisions because those that sat on the committee would have had experience of previously approving or rejecting applications. The DG agreed that this was the case. Mr Apleni informed the Committee that Mrs Angoori Gupta had arrived in South Africa on 12 December 1995, just one year after the dawn of democracy in the country on a temporary permit and then applied for another permit in 1997 and 2001. She had been in the country for about six months at a time in those periods. On 10 March 2003, Mrs Gupta applied for permanent residency. She had all the rights of a South African citizen except the right to vote. In June 2013, she applied, as part of the family, for naturalisation. This was 10 years after she had been granted permanent residence. She had been in the country for 18 years. Her application was rejected by the Committee on 23 December 2014. A Ms Hlatshwayo had written the letter that had circulated in the media. She was secretary of the Naturalisation Adjudication Committee. The police report showed that there was no illicit activity identified. In the initial four years prior to application, she had not left the country but in 2013/2014, she had left for three months and 18 days before the application for naturalisation. The family therefore had the application rejected as she did not meet the residence requirements. She had spent 18 days beyond the allowable 90 days out of the country in one of the five years prior to application. Ms Hlatshwayo wrote to the Gupta family explaining exactly why Mrs A Gupta did not meet the requirements. The letter from Ms Hlatshwayo that had circulated in the media had been tampered with because it stated that they would qualify in 2015. In fact, they would qualify in 2017. The two applicants were Mr Ajay Gupta, husband, and Mrs Shivani Gupta, the wife. Mr Ajay Gupta had been in the country for five without exceeding the permissible 90 days. Had he applied as an individual, he would have been approved, but because he had applied as part of the family, his application had been rejected. The wife, Mrs Shivani Gupta, however, did not qualify as she had not met the five-year residence criteria. The sons had a different surname because a child in India could be called Singhala which was the same as Gupta. The sons were known as Mr Kamal Kant Singhala and Mr Surya Kant Singhala. Both of the sons were over 18 years of age. The youngest was born in 1995 and came to South Africa as a child. The sons would have qualified as individuals but because they applied as a group, they did not qualify. The Naturalisation Adjudication Committee had declined those applications. Section 59(a) then kicked in. It was within the law for them to approach the Minister with their exceptional circumstances. There was a hierarchy of what could happen. The Committee was within its right to reject the application. The DG referred to Annexure I in which the Gupta family exercised their rights and stated that they believed that they qualified for exceptional circumstances consideration. The DG pointed out that people might have differing views of exceptional circumstances but that he could prove that there was consistency throughout decisions made by Home Affairs. The letter referred to the investment in the country by the Guptas and the fact that they had 7000 employees in North West. They had invested about R25 million. He pointed out that they could not make the assumption that it was Mr Ajay Gupta who had the money. In making a decision, he had to assume that the money belonged to the family and he could not determine the amount that belonged to each individually. Home Affairs had gone to DTI to confirm that the business was registered in South Africa. They confirmed with SARS that the business was registered and paying tax. The DG then referred to the bureaucracy. He pointed out that the Naturalisation Adjudication Committee had done what it had needed to do. No Minister would simply sit and write a letter. The Minister had to be advised by his or her lieutenants. The Minister took ultimate responsibility but the steps below were taken by the bureaucrats and ultimately the DDG advised him. A submission had been prepared for the Minister by Deputy Director: Travel Documents and Citizenship, Mr Richard Sikakane, who was in the meeting. The submission was approved by his superiors, including the DG, and included a draft letter for the Minister to sign approving naturalisation. The submission outlined the process that had been followed, including the fact that the committee had originally rejected the application on the basis of an inadequate residence period by the wife and the mother. The other three had met the requirements but because they had applied as a family, the entire group had been rejected. The motivation was for the entire family even though it was only two members who had not met the requirements. The submission stated that the family would qualify for naturalisation on 23 December 2017. This was the same information that had been provided to the family in the letter written by Ms Hlatshwayo. The submission included information from SARS, DTI, and the Company and Intellectual Property Commission, whose documents showed that the company, Oakbay, was registered and paying tax. This showed that Home Affairs had verified the information. It was recommended that the Minister grant the Gupta family naturalisation. The submission explained to the Minister his rights and responsibilities in terms of the Citizenship Act. Attached to that submission was a letter drafted by the officials for the Minister’s signature. The Minister had not even written the letter himself. The Minister had applied his mind and decided to waiver the residency criteria. All of the officials had applied their minds in composing and signing the submission. The application was conditionally approved for six months pending proof of renunciation of the Indian citizenship. On receipt of the documents, they would be required to sign the allegiance of naturalisation. On Committee members querying the dates on the letter, the DG suggested that perhaps it was a date stamp that was not showing on the copied versions. The Gupta family had to submit information regarding the citizenship status of the family members. The Consulate General of India had sent a letter to Home Affairs confirming that the mother, the wife and the two sons had renounced their Indian citizenship. That meant that Mr Ajay Gupta had never renounced his Indian citizenship. Mr Ajay Gupta had not been naturalised as he had not renounced his Indian citizenship. He remained a permanent residence holder. Mr Apleni explained in Point 32 of the documentation provided to the Committee, that, in terms of section 5(9)(b) of the SA Citizenship Act, the Minister was required to table the names of those granted citizenship by naturalisation via a waiver to Parliament. The last report to Parliament had been submitted in 2012. Since 2013, no report had been submitted to Parliament. It was an omission by the Department of Home Affairs but that did not render the naturalisation of those persons null and void. The DG noted the list which showed it was not only the Gupta family that had been naturalised via waiver by the Minister and not reported to Parliament. The requirement was for tabling and did not require approval by Parliament. The tabling of names in 2012 included people who had been naturalised in 2011 and 2010, which meant those names had been tabled late. The persons who had been naturalised in 2010 and 2011, included a businessman, a FIFA Secretary-General, a sports skill soccer player, a marketing director, and various other businessmen. The names of the mother, the wife and the sons of the Gupta family were on the list, but so were the names of other people. In April 2016, Home Affairs had received a parliamentary question from Mr Hoosen who asked the Minister whether his Department had issued citizenship to the members of a certain family. Home Affairs had given the names. That was evidence that Home Affairs was not hiding anything. In October 2016, again Mr Hoosen had asked the question. Home Affairs had responded in exactly the same way as they had in the meeting. The names had therefore been raised in Parliament. The reasons had not changed. It was not correct for Home Affairs to omit the tabling of the names to Parliament. However, it was simply an omission. The list had contained the names of not only the Guptas but other names as well. The Chairperson thanked the DG for providing the tools so the Committee was able to talk about the things that had happened. The declaration that it was not correct not to table the names in Parliament had been accepted together with the intention to table them before Parliament. The Chairperson reiterated that the list had contained the names of not only the Gupta family and that more than one Minister had been involved in this omission to table names. The DG had explained the process of documentation through the bureaucracy and how the correspondence had come into being. He confirmed the explanation that once everything had been determined, the Minister only had to apply his mind to agree or not to agree. He believed that even the citizens who had watched this meeting broadcast were now empowered to have an opinion on the matter. The Committee now had to decide whether there was any information that the DG could not provide and that someone else would have to provide. The Committee would have to persuade each other, or not persuade each other, that they had all the information that they needed. Mr Steenhuisen thanked the DG for the presentation. He referred to the letter from Oakbay and the fact that SARS and DTI had confirmed details of the company. However, he asked if any of the other information in the letter had been confirmed and if Home Affairs had been able to confirm the scale and nature of the claims. The discussion about who owned the money was irrelevant because the company was a separate corporate entity. Companies are represented, in law, by the directors. Home Affairs had, via their own checking, determined that not all the Oakbay directors were applicants for naturalisation. Only the third director, Mr Ajay Gupta, was an applicant for naturalisation. He asked how Home Affairs had applied the company to other applicants who were not even directors of that company. Therefore, the reliance on Oakbay by the officials had been incorrect. The assets of Oakbay should not have played any part in the decision on the naturalisation of the Guptas. Mr Steenhuisen said he was attempting to understand the volte face that had occurred from the committee stage to the recommendation that naturalisation be approved. He asked if the letter in Annexure I was the only basis on which Home Affairs had changed its recommendation from rejection to approval of naturalisation. He asked how many applications they had failed in 2016 for not meeting the requirement of permanent residence of five years. Mr Steenhuisen had enjoyed every part of the DG’s presentation up to the point where he had tried to explain away the non-compliance with legislation in respect of tabling the names in Parliament. He explained that it was a material requirement as it was required to provide Parliament with proper accountability and oversight. His attempts to substitute a response to a parliamentary question for the tabling of the names was creative but inappropriate. Home Affairs could not excuse its omission for fulfilling the legislative requirements but Mr Steenhuisen could not hold the DG accountable as it was a political responsibility. That power and responsibility lies with the Minister in terms of the legislation and that had not been. In cases like this one had to look at outliers and looking at the naturalisations on average by Minister Dlamini-Zuma and Minister Pandor, which amounted to two per calendar year as opposed to 18 per calendar year by Minister Gigaba. What had moved the benchmark? Why was there a sudden increase in naturalisations approved by the Minister? Had Minister Gigaba lowered the benchmark? Had he adopted a far more loose and fast approach? It was a very large jump from the calendar years prior to Minister Gigaba. Using other names was unacceptable as only Minister Gigaba and the Gupta family had been implicated in the emails. The issue related to serious allegations of state capture and that was why Parliamentary Committees, and others, were applying their minds to it. Minister Gigaba and the Gupta family were implicated in the emails and not the other persons referred to. It was within that context that he asked if the Director General, the Deputy Director, or the Chief Director had met the Gupta family or had received any material or hospitality benefits and if these had been declared in terms of their code of conduct as civil servants. Dr Mulder asked about the tampering of the letter. He wanted clarity about Mr Gupta applying as a family because there were minors. Mr Gupta had not denounced his citizenship but had the other family members denounced their Indian citizenship? Had Home Affairs received proof that the rest of the Gupta family had denounced their Indian citizenship and on what dates had they received that proof? Had the Gupta family been issued with South African passports and were any of those official passports? Ms Raphuti applauded Home Affairs for the systems in place within the Department. No one was perfect in life and anyone who was perfect was sick. The previous week, the Committee had stated that authenticity of documents was vital and any lack of authenticity was important because then people were out there misleading people with unauthentic documents. People could be whistle blowers - but they could not mislead the country. The Committee needed an inquiry into the tampering of the document. People were using wrong information to make political gains and to make the country ungovernable. Somebody was taking information out to the wrong people who came and dived in the Committee. They were irresponsible. She needed proper dates. People could not mislead the country which was so peaceful. Ms Nkomo asked for information about the documents without correct dates. The letters without dates had to be corrected immediately otherwise they could be abused. She requested that the Committee look at the all Ministers of Home Affairs since 1994 and see who had approved large numbers of waivers for naturalisation as the figure of 18 did not seem to be correct. The Committee had taken note that the wife, the mother and the sons had received naturalisation but Ajay Gupta seemed to be influential in these matters and that is what the investigation needed to look at quite seriously. The Committee did understand why he had not taken up citizenship but the Committee needed to look at the matter in its totality before coming up with finality on the issue. She was worried about the letters being not authentic and the lack of dates on some documents. Ms Hlophe wanted clarity on Annexure S because the first letter from Home Affairs spoke of five people but only four were naturalised. The DG confirmed that this was correct as Ajay Gupta had not been naturalised. Ms Hlophe asked if the fact that procedure had not been followed in tabling the names in Parliament mean that the people were not legally in South Africa? The DG stated that that assumption was incorrect. Ms Hlophe asked why had Home Affairs followed all procedures but forgotten about Parliament? How could Home Affairs have followed all procedures and then failed on only one, which was Parliament? The DG had stated that the Minister had not acted alone as Home Affairs officials had prepared the submission. Why had his Department at first told the Guptas to re-apply in 2017 and then changed their minds and granted early naturalisation? There seemed to be a contradiction: Home Affairs had initially rejected the Guptas and then Home Affairs had decided to advise the Minister to grant naturalisation. On what grounds had they overturned their own decision when the Gupta family had appealed the decision? She asked the relevant officials if the Minister had instructed them to change the decision and had given them reasons to provide in the documentation so that he would be covered. The Chairperson informed the Members that he was sometimes accused of defending Home Affairs. However, his position was made difficult when they asked a question that had already been clarified. Committee members were requested to listen very carefully. Ms D Carter (COPE) said that the statement that the omission was not relevant since it was only for tabling purposes, was completely wrong. It was necessary for parliamentary oversight. In previous years the ministers had approved two waivers per year but Minister Gigaba had approved 18. She requested information on how many had applied, how many had been rejected, and how many had been approved. The information could be supplied in writing. Ms Mnisi pointed out that the question had been asked by Mr Hoosen and he had received an answer. Naturalisation was not new and the Gupta family was not the first family to be naturalised. She did not like the fact that the Portfolio Committee was being used for campaigning by the opposition parties. Mr Steenhuisen interjected on a point of order but the Chairperson stated that Ms Mnisi was to be allowed to complete her chance to speak. Ms Mnisi asked for clarification on the tampering of the letters. Mr Steenhuisen quoted Rule 85, which stated that although Mr Hoosen had received an answer that did not mean that the rest of the party had received an answer and he was entitled to ask questions. The Chairperson said that Ms Mnisi had referred to the DA and not to an individual member of the Committee, which she was entitled to do. He requested that people be able to speak freely without interjection. Ms Kenye asked about the motivation by Mr Ashu Chawla. Had Home Affairs ever gone to North West to see if the 7000 employees had permanent jobs and that the 74 schools had been given sports kits and school uniforms? The person who sought naturalisation had the same responsibilities as South Africans. How did Department of Home Affairs measure that? On the 2015 letter from the Consul of the Indian Consulate, where was the proof that the family members had renounced their citizenship and returned their passports and what had happened to this letter? Mr Kekana said that there were two questionable letters – the one with the altered date and the one without the date – which needed to be investigated. On tabling the names in Parliament, he had heard the DG saying that it was not an important requirement. It was the responsibility of the Minister. That gave the Committee a reason to question the Minister. He wanted to know if the Department of Home Affairs had ever had any business with the Guptas. Ms Dambuza stated that the investment in North West was critical and the DG needed to investigate if it was there. The DG had talked about the signing of an oath after the renunciation. Had the people signed the oath? She asked the DG to be fair to the Committee. Once legislation was in place, it had to be respected. A Department could advise if there were gaps in the legislation and Parliament would deal with it. The DG should not defend the omission of submitting the names to Parliament. Mr Gumede referred to the date stamp. If the non-clarity was due to the Committee not receiving colour copies, they could look at the original. On tabling the names in Parliament, he asked if the non-tabling affected the decision or if it was merely a process? He believed that it was just a process, although, he quickly added, Home Affairs had to present this to Parliament. As there were other names, he took it as an oversight and not corruption. It was a transgression but it had been minimised by the submission to the Judge-President of the North Gauteng High Court. In future, there should be consequences for non-submission of names. However, he was confident that Home Affairs had followed due process. The DG informed the Committee that the letter circulated in the media with the stamp and signed by Hlatshwayo, which had led the Department of Home Affairs to be asked to respond about the naturalisation, was not his letter. The DG’s letter had indicated that naturalisation could take place in 2017 as one family member was short by two years in completing the cycle. The Chairperson explained to the Committee that that particular letter had been circulated by the EFF and it had not come from Home Affairs. The other letter was the correct one as it indicated that naturalisation could take place in 2017. Mr Kekana wanted the letter investigated to find out where it had been forged. The DG stated that the Naturalisation Adjudication Committee had to verify everything, including SARS reports, but the file was very thick and he had not bought it with him. However, he could provide it to the Committee, if necessary. An example of naturalisation was the Managing Director of Coco Cola. The man had not owned Coca Cola but he was contributing to the wealth of the country so his request for naturalisation had been approved, despite the fact that he did not fully comply with the residency requirements. So, there was not only one criteria to be considered. Home Affairs had checked if the business associated with the Guptas was paying tax. The DG denied that he viewed the lack of tabling of the names as an irrelevant matter. He was adamant that even if the names had not been tabled, it did not take away the legitimacy of the naturalisation of those citizens. He would submit the names to Parliament as soon as possible. He pointed out that the 2010 list of names had only been tabled in 2012. He accepted that an answer to a single member was not necessarily appropriate but Home Affairs had answered a question in Parliament. Even during Minister Pandor’s time, the names had not been tabled. On moving from rejection to approval, the DG replied that the Naturalisation Adjudication Committee had explained why they had declined the application. The DG had not asked the Guptas to appeal. They had exercised their democratic right. He could not say how many other applications had been rejected in 2016. At present, where foreign citizens had had five years of permanent residence, they were basically entitled to naturalisation. He pointed out that Home Affairs had subsequently determined, in the current White Paper, that there should be no automatic graduation from permanent residence to naturalisation. He had personally never been to the Gupta home and had never received a gift nor had any business with the Guptas. Dr Mulder accepted that the letter containing the date of 2017 was the legitimate one and not the 2015 letter. He referred to the Annexure provided by Home Affairs which referred to “children”, not “minor children”, explaining that that was why he had asked if the Guptas had applied as a family because they had children. The DG said he could not assume what the person had intended by changing the date to 2015. Ms Hlophe interjected that she wanted to speak about the letter. She argued that if Dr Mulder had been allowed to speak, she should be allowed to speak. The Chairperson asked Members not to keep interrupting as it made chairing of the meeting very difficult. Ms Nkomo suggested that the Committee accept the 2017 letter and accept that the 2015 letter had been forged. Mr Steenhuisen asked for clarity about the list of names. He understood that all those on the list had been accepted but he wanted to know if there were others who had not been accepted, i.e. rejected. He accused the DG of not being prepared. The Chairperson said that the DG had brought everything required by the Committee. Ms Carter commented that the Committee could accept that the letter referring to 2015 was a fake forged by someone in Home Affairs. Ms Carter was told that she could not make such an assumption as it cast aspersions on Home Affairs and there was no evidence that the forgery had taken place there. The DG said that the family had a right to apply for a passport but he did not know if they had applied for one. He could confirm that the no one in the Gupta family had been given an official passport. The letter without a date had a reference number so he knew that it was from his Department but he would check it. He would provide documentation since 1994. He pointed out that Janusz Walus, who had killed Chris Hani, had been naturalised. He stated that he was definitely not hiding anything. The Gupta family had permanent residence so they were not illegal. The condition was that the Guptas had to renounce their Indian citizenship had been followed up by his Department. Home Affairs had followed the law in everything. The document from SARS and DTI was evidence that the family had invested money in the country. Home Affairs had received a number of parliamentary questions and they were responding again that Home Affairs had never received a cent from the Guptas. Home Affairs would not want to change the law for the need to table the names of people naturalised by ministerial waiver. Home Affairs would check if the Gupta family had relinquished their Indian passports. The Chairperson stated that they had received all the information that they had required and the Committee fully understood the law on naturalisation and permanent residence. The only question was the date on a letter. The non-tabling had been accepted as an error that would be corrected. The information on those naturalised since 1994 would be provided by the DG. The main point was that the bureaucracy had prepared everything so the Minister simply had to submit those names when given to him by Home Affairs. Ms Hlopthe said the DG had stated something different from the Minister. The Chairperson said that they were not going to go into differences between the Minister and DG and that the EFF should explain how it had received the letter so that its origin could be traced. Mr Steenhuisen asked for the file with documentation that had been used by the Minister to approve the naturalisation of the Gupta family and the way in which information such as donations in North West made by the Guptas had impacted on the decision. Dr Mulder stated that there might be other documents outstanding that had not been addressed. Mr Frolick had stated that the relevant departments, including Home Affairs, should investigate the emails that allegedly confirmed state capture. He referred to Annexure I, the letter written by Mr Chawla, on behalf of the family. He informed the Committee that there was a Gupta email on the same day which had told Mr Chawla exactly what to state in his letter. The Chairperson asked him for the email that he was referring to as the Chairperson did not have any emails and so Dr Mulder was making life difficult for everyone. Dr Mulder stated that he did not have all the emails himself and, when asked what he meant by 'outstanding', he replied that 'outstanding' included all the emails in the public domain. Ms Raphuti stated that Dr Mulder could not bring false emails to the Committee as the letter circulating in the media had already been declared false. The Chairperson asked Dr Mulder to provide a copy of the email. On a point of order, Mr Gumede said that they were straying from the agenda. Home Affairs had accounted and the political parties were now making political mileage. The Chairperson said that he was worried about the fact that Dr Mulder had kept the email to himself. The Committee wanted to get to the level of those who had previously received information not available to other members of the Committee, but now Dr Mulder was again on a higher level. The Committee could have asked Home Affairs if it was an authentic email. Mr Steenhuisen said that he was waiting for a response from the other gentlemen in Home Affairs. Further, he believed that the Mr Frolick should have provided the Committee Chairperson with the emails. He personally would make the emails available to the Chairperson. The Chairperson said that he only wanted emails relevant to the naturalisation of non-South African citizens. Ms Hlophe pointed out that the Chairperson did not attend the Chief Whip’s Forum so he did not know what had been discussed there. She had been in the meeting. She believed that the Chairperson needed to go back to Mr Frolick to get further information about the required investigation into emails. She stated that, nevertheless, the matter was not closed as the Ministers were required to present. As requested by Mr Steenhuisen, both Mr Norman Ramashia, Chief Director: Back Office Status Services, and Mr Richard Sikakane, Deputy Director: Travel Documents and Citizenship, informed the Committee that they had had no relationship with the Gupta family nor had they received any hospitality or other gifts from the family. They did not do business with family.